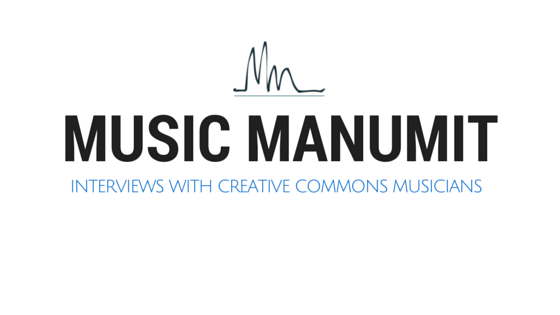 Music Manumit: An update or "I Know What You Did Last Winter"
An update or "I Know What You Did Last Winter"
Class starts on Tuesday, so I thought it a good time to reflect on where Music Manumit Lawcast is and where it is headed. Part of the goal for winter break was to figure out what exactly MML would be and when. I would not say there is a definitive answer to that, but we are certainly further than we were. I don't think there's anything here that could be construed as legal advice, but if you think you're getting legal advice, you're wrong. Nick is moving to DC, which may make for better communication this summer, or at least more in-person communication, since I'll be in Baltimore. Since the last post, I have discovered Red Emma's, so if anyone is a regular, please say hello. I'll probably be at the apartment a lot this summer, but I will try to make it over to Red Emma's as much as possible as well. Nick studied some environmental law and has a background in the related area of zoning law, but really I just think Earth Day is something to celebrate and Nick agreed we should do something, so we're doing something. I was hoping to have an online concert with artists like David Rovics and Emcee Lynx involved, but given my schedule for the semester, I doubt something that ambitious will be happening unless someone wants to help bit up the slack. A weekly podcast and daily posts (during the week). Right now it looks like we are going to be adding a 12-episode mini-series to the list of shows over at Sportazine.com. Stephen of Cyberunions may be hosting the show with Doug. The show will be on sports and social movements as well as fan-owned and athlete-owned sports teams and clubs. This is not set in stone. Alternatively, the show may be about technology in sports or just sports in general. Stephen is currently in Mexico (though he is from Boston) and his Internet access for the summer is still up in the air. What does my story about SportAZine have to do with the Lawcast? This is home base for the summer and I wanted to let you all know what was coming up. Also, I wanted to put out the call to get involved. The mention of Stephen and I's potential show is mostly to show you that if you have an idea, we might be a voice for it. This summer is the rare opportunity to A) have a built-in period to podcast without thinking "gawd, I don't want to do this the rest of my life" and even though any summer could be that opportunity for students, B) you'll have a full-time support staff -- me! The more time I can work on raising money to file as a 501(c)(3) and the less on producing content, the better for everyone in the long run! So, as long as your ideas relate to sports, free software or music law, feel free to toss them out! 4) Another idea to get you thinking. I'm going to be a busy man with all the projects, so I haven't sought out anyone to help with my idea for the Movie Manumit Podcast. I'd love to have a reason to discuss all the Creative Commons video content up on blip.tv, Vimeo, YouTube, Archive.org and Public Domain Review. Please note that while blip.tv, Vimeo and YouTube all allow at least some CC licenses, I could find no way to search for said content. So lame! I hope those sites get around to fixing that problem! So What Exactly Did I Do in the Winter Break? I spent a lot of time going through the catalogs of StoneAge Records and Quote Unquote Records. Expect to hear more about both labels on the Music Manumit Podcast. I got many of the music only shows ready to go for the semester, though I'm not completely done for the semester! Nick and I recorded a show and his audio failed. I will probably put my side up on Archive.org for remixers. Tom and I also recorded a few shows and I released a couple new Punkcasts. As I mentioned before, I was already listening to Life of a Law Student. I listen to some others. Perhaps Nick and I will do a review of the podcasts at a later date. I do not necessarily agree with everything said on those podcasts (or the NOFX video I linked to above), but I think they will help my understanding of my courses this semester. Don't forget you can leave audio feedback at (512) 686-6329.